How much is Kody Brown Worth? Kody Brown net worth: Kody Brown is an American reality television star and polygamist who has a net worth of $800 thousand dollars. 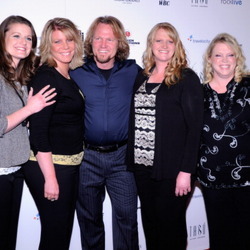 Kody Brown is the husband and father of The Brown Family, the subject of the reality series, "Sister Wives". The Brown Family is a family of polygamists. Kody Brown is legally married to Meri Brown, with whom he has one child. 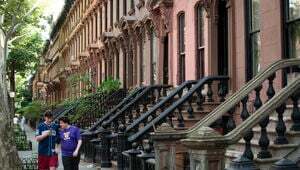 He also enjoys a "spiritual union" with Janelle, with whom he has six children, Christine, with whom he has six children, and Robyn, with whom he has one child. Robyn also brought three children from a previous marriage to the family. In total, Kody Brown currently has four wives and 17 children. 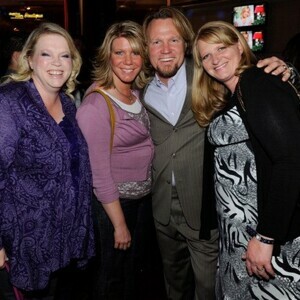 "Sister Wives" debuted on TLC in 2010 and has since gone on to air more than 70 episodes over four seasons. The show has garnered a great deal of attention and generated a fair amount of controversy. The Brown family kept their polygamist lifestyle largely a secret until the show premiered, and they found themselves under investigation during Season 2, as polygamy is illegal in the United States. At the beginning of the series, the family lived in a small Utah town called Lehi but due to their controversies they have since moved to Las Vegas, Nevada. Kody and his wives do their best to ignore the negative press and instead concentrate on showing off a positive portrayal of a polygamist family.